What the Sensor's geo would look like with a 150mm Fox 36 FIT4 fork. So people on this bike, can I get a ride report? I'm looking for a playful, poppy ride that likes to change direction with the geo this bike has for aggressive days. Coming from the GG Smash, that bike was a straight line monster trucker. Before that, I had a Canfield Riot and that was the most fun bike I have ever had but there were other compromises. I am looking for a bike that likes to manual and bunny hop and rewards looking for jibs over just bombing. Any body with some insight and what they can compare this bike to? I'm looking for the same exact thing. The new cf Riot is supposed to drop soon but the Sensor has been on my short list along with the Ripmo and SB130. So... the Smash wasn't very playful? That was on my list too! 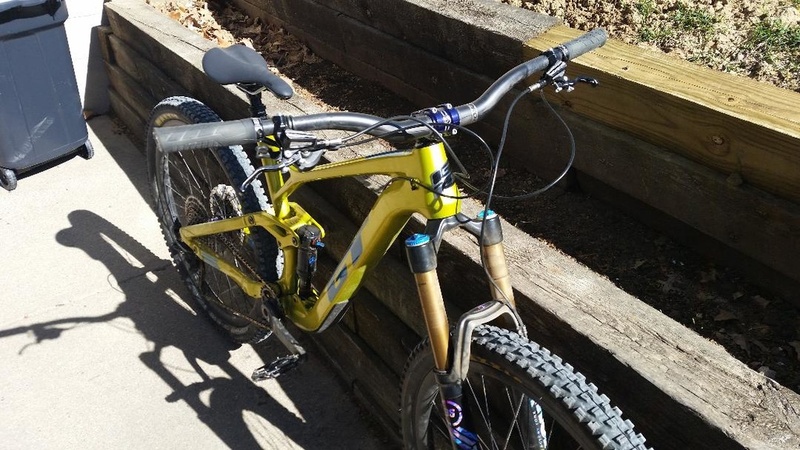 I'm guessing the Sensor would be similar based on the 4 bar suspension, high bottom bracket (relatively speaking), and long chainstays (again, relative to the Riot). I did get to ride the Ripmo and SB130 back to back and the SB130 is way more fun/poppy which I attribute to the lower BB and lower shock and fork travel. The shock travel was much smoother also than the Ripmo which I attribute to Yeti's Switch Infinity system and NO Igus bushings like the Ripmo uses. 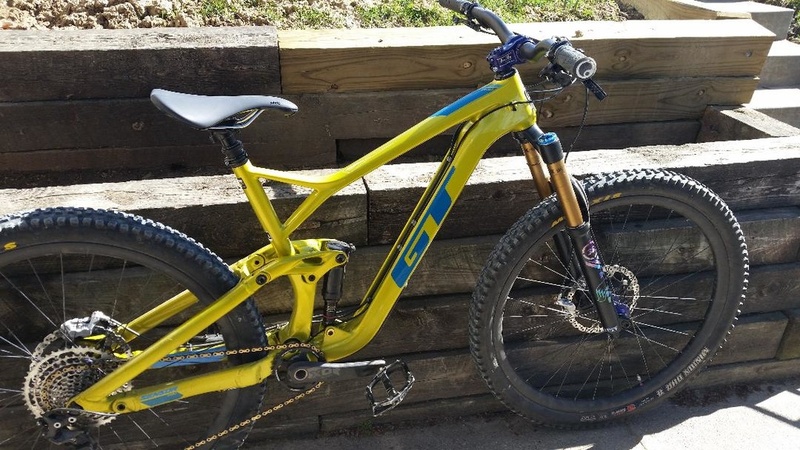 The cost is a joke tho - could get a complete Sensor for what the Yeti frame costs!!! I'm not holding my breath on any new Riot after conversations I've had. I think the Riot nailed the playful but it is a combination of elements in my experience. I have found the Evil Following to be similarly playful and it has longer stays and the Riot was higher bb. Smash was as far from playful as any bike I have ever ridden. I'm glad I tried it but honestly, did not care for it (not new carbon one but previous AL). Horst link can be configured so many ways so there is no reason to expect others to have same attribute as Smash just cause it shares expired patent. I think leverage curve and proper fit (reach/top tube and bar width/height) have a lot to contribute to this feeling. Sensor has relatively short stays for 29er. No where near the Riot but nothing is and bb height is adjustable to let me play with that. I've also read it stiff has hell, something Smash was also but Riot definitely wasn't, so another plus for it. That and its Price make it worth trying out. To that effect, I just ordered an Expert and will give it a go. The pricing makes it silly to not at least try out as I got complete for less than MSRP for the Offering frame I am also looking at trying out. I am recovering from a busted wrist though, so will be another month or so before I can report back. Anybody have one of these and put a water bottle on it? I'm trying to figure out how this is supposed to work with the cable guides. Obviously you can just bolt the cage over the cable guides, but the guides have a counter sink for the bolt head and I'm not to keen on just tightening my plastic cage over these holes. At first I mounted the cage right on the frame so it would sit in the groove tube for max clearance. But there was so much clearance I decided to just mount it on top of the cable guides using socket head machine screws to prevent any cage to frame rubbing. The cage is secure and the bolts have stayed tight. Are you using a plastic cage? No I have a cheapo alloy one. But I think plastic would be fine too. For extra security you could put washers over the counter sunk holes if your bolts are long enough. I’ve been scanning this thread, and I’m the owner of a 2019 Sensor alloy Sport. A few things come to mind. Order longer water bottle cage bolts from Amazon or EBay made of titanium. Cheap, light and effective. Mercury wheelset (around 1800 gms. versus 2200+) and they’re 27.5. So it’s like an alloy Force short travel. The frame works well with either wheel size but I love the handling of the 27.5. SLX crank, and looking at a Reba fork. All in all you can get it to less than 30 lbs. 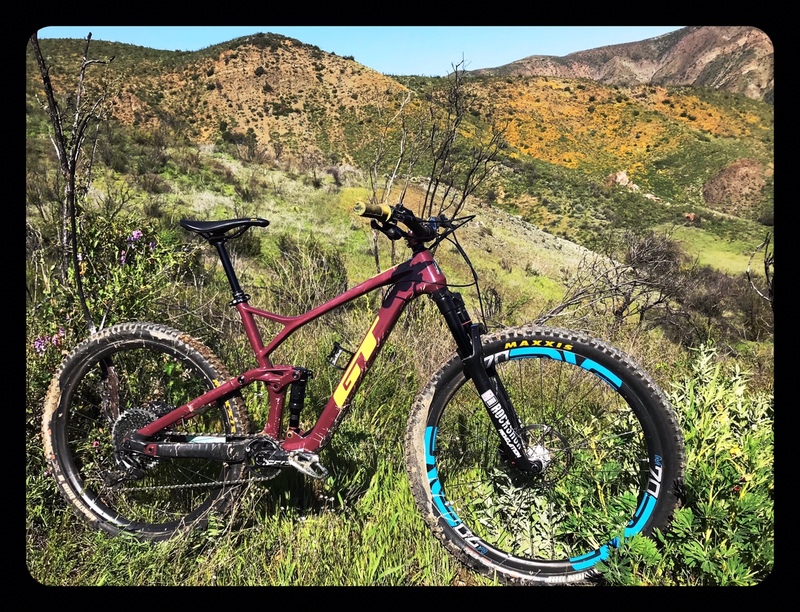 So this is really cool: Martin Maes, one of the fastest ews guys around is running mixed wheel sizes on his GT this year. If you recall that’s why I started this thread and bought a Sensor. It’s so prime for a 27.5 rear wheel it’s almost like it was designed for it. Perhaps, knowing the number one GT rider is running the mullet on his Force, they were designed for it! Unfortunately I never got to try the mixed wheel sizes cause I’ve been trying to sell the bike. I did however get a good California spring ride on to check out the wild flower bloom. Damn. 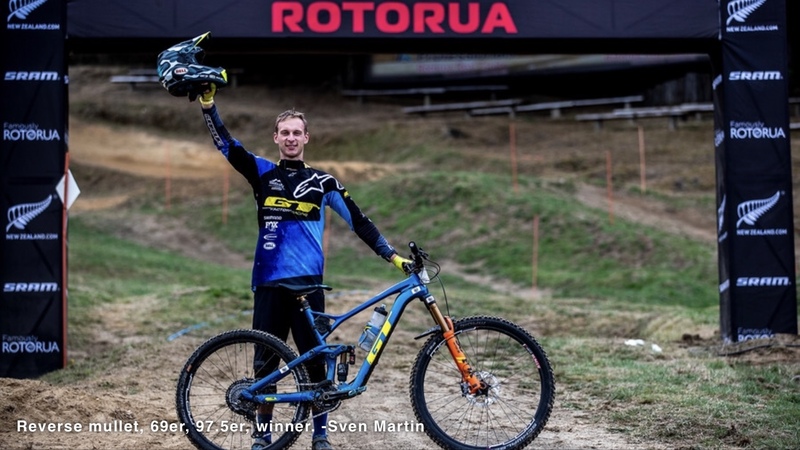 I didn’t realize not only did Maes win, but he hit a grand slam, winning every stage, a first for EWS. So sick! Man, the more I ride this bike, the more I'm stoked on it! Did some basic upgrades to the sport and it's a whole new bike! Even rode my first double black trail in Sedona with it, no issues! Let me know if y'all have any questions! Just ordered the Carbon Pro...keen to ride it! I have a few rides in now on my Sensor Elite. First thing I noticed is that its a big, stiff, burly frame. My rig is right around 34.5 pounds with a Fox 36 and carbon wheels so its no light weight at all. The second thing is that the rear end is not plush at all! Hardly any low speed absorption. But what is more annoying is the wonky shock size. Its darn near impossible to find a shock size in trunnion 180x50. There are no coil trunnion shocks in that size at all!!! The most logical thing is find a 185 coil and have Avalanche do their magic. Its a fast bike that feels better going fast. The taller bb hasnt been an issue for me yet. These were my thoughts regarding shock sizing. Ya it’s a common thing with metric shox. The bike has a 185x55 shock with a 5mm reducer to net a 185x50 shock. The spacer is located on the base of the damper shaft. RS uses plastic while fox uses alloy. I’ve hear of people just nipping the plastic spacers off easily. Not sure if the other shock options are the same. Also not sure about interference with the seatstay bridge or rear tire on the sensor yet. 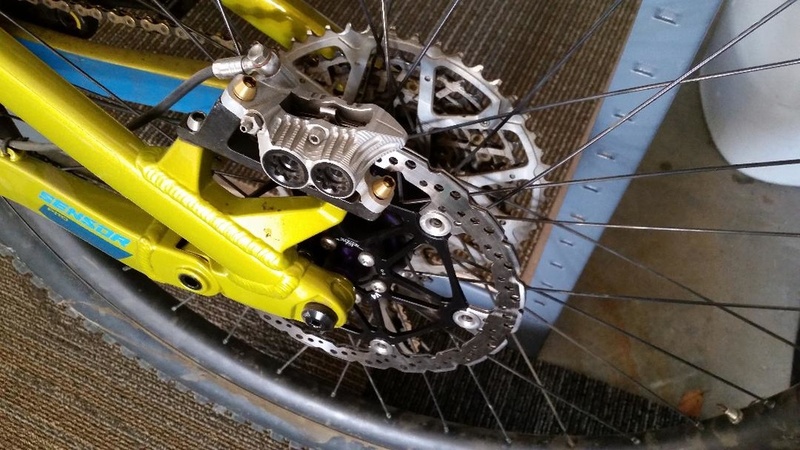 Assuming a 3:1 leverage ratio 5mm of shock travel is about 15mm axle travel. I’d only do this for racing if I keep the bike. I was really enjoying the shorter travel for the snappy ride. I pulled the the shock and checked clearances for long stroking. The seat stay bridge on the rear triangle hits the back of the seat tube well before the tire would hit the seat tube. Eye to eye with the bridge resting against the seat tube is 127mm. So you can run 185x55 damper, obviously it needs 130mm of clearance. I know my expert is 185mm. There are several trunnion coils in 185x52.5 and 185x55. The one Craig recommends is the Marzocchi Bomber CR and it come is those sizes. So does the RS deluxe which has similar design plus a climb switch. I’m going with an avy tuned Bomber for my YT Decoy. The Deluxe R is a terrible shock. It’s got no midvalve and the main piston is way over damped so it doesn’t blow through the travel with big riders. I feel like the Deluxe RT3 makes this bike a pretty plush and supportive ride for only having 130mm out back. Last edited by PurpleMtnSlayer; 1 Week Ago at 11:07 AM. Nice build! This bike totally deserves the Fox 36 and quad piston brakes. I like the carbon horizon riser bar too, especially for the price! 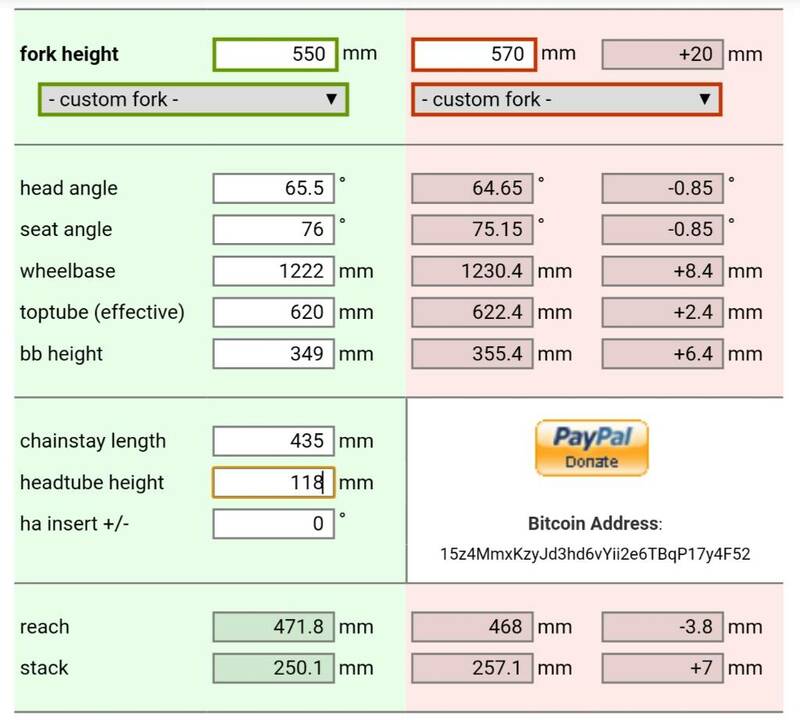 What’s the travel on that fork? Thanks! Its a fantastic bar and the price makes it even better. I have no reason to get the 35mm stuff. There is Nothing wrong with it but the old stuff is good enough for me. I went from a 120mm suspension bike with the 36 on that so when I switched it over I thought I should put it at 140 for something different. I do need to lower the lowers to see why its so harsh, so when I do that Ill probably put it to 130mm. Can anyone compare a Sensor 9r to new 27.5 Sensor? Make sense to build a bike?